Well, it’s been a while since I updated & there’s been a lot happening behind the scenes – but more on that later 🙂 Today I’m reviewing “Rich & Rare” – another from the Ford Street Publishing stable. 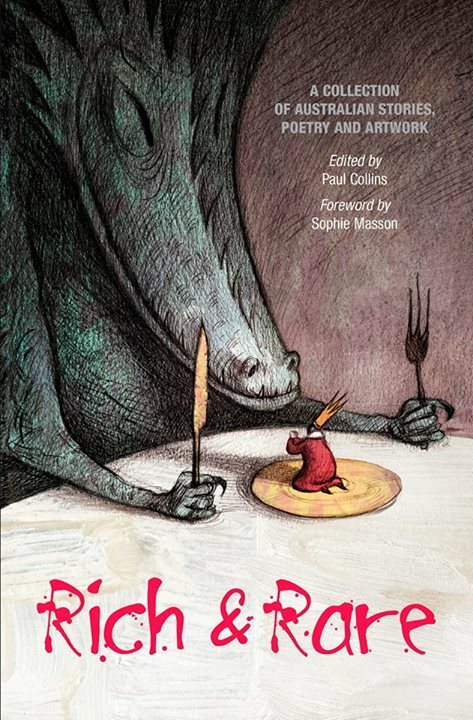 I was fortunate enough to obtain a copy of Rich & Rare, a collection of short stories, poetry & illustrations by varied and talented Aussie authors & illustrators (Most illustrations are by the talented Paul O’Sullivan while Mac McBride has also illustrated for his short story). The first wohoo moment was when I opened the envelope and saw the brilliant cover design. The second was when I recognised so many of the authors (I instantly knew I was in for a treat). The third – and this is biggie – was the size of the collection. It runs at over 500 pages while each short story is few thousand words (give or take) in other words, perfect train-ride or lunch-break reading. You get to finish an entire story & I love that. And I wasn’t disappointed with the stories either! Given the age-group is listed as 11+ the stories tend toward the lighter side and while I have a personal taste for the darker stuff, I found myself happily smiling at the wonderful wordsmiths within each story. NOTE: I have only read half the stories thus far (and all the poetry) because honestly, this is such a perfect train travel collection that I find myself always saving *the next story* for my train rides to the city. Having said that, thus far there is not one story I wouldn’t recommend and also think these are the kinds of stories parents could share with their children. and Paul Collins has done a brilliant job in editing. Rich & Rare is just that, and highly recommended by me 4.5 stars! 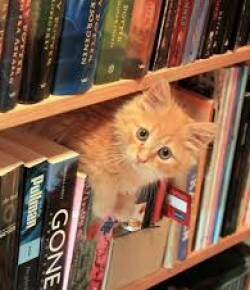 And while you’re there, take a look at the brilliant list of novels available. I recently reviewed Michael Hyde’s Footy Dreaming and am making time to read Vol 4,5,6 of the Warlock Series, (review to come once I’ve read all six but honestly, if you’re got a tween or teen who likes fantasy & likes to read – even a little – this series would make an ideal Christmas Stocking gift, but buy at least two at a time ‘cos your kids will devour them!) & next on my list is Adam Wallace’s ‘The Vanilla Slice Kid’ – also a great Christmas present for a young reader. Ford Street is also the publisher of ‘Celia and Nonna’ by Victoria Lane, illustrated by Kayleen West, as well as many other amazing works. And come back next week – I have news & some fun for Picture Book and middle Grade writers!